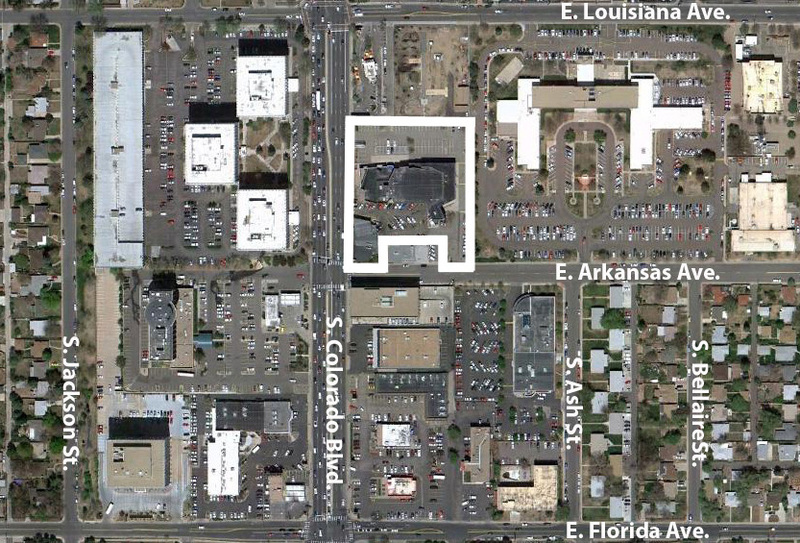 Century 21 Plaza is located at the northeast corner of South Colorado Boulevard and East Arkansas Avenue. The site is served by a full movement signalized intersection, at East Arkansas Avenue. Century 21 Plaza is 0.7 miles north of Interstate 25 and 1.4 miles southeast of the Cherry Creek Mall. Century 21 Plaza is conveniently located along Denver's busiest non-highway corridor. 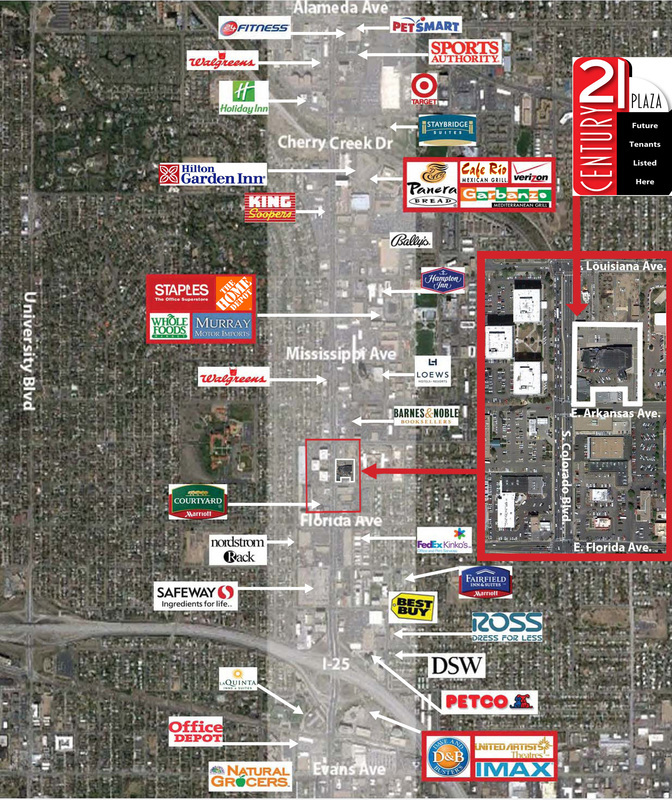 Below is a map that shows some of the major retailers in the South Colorado Boulevard trade area.